The STRONG High Seas project is a five-year project that aims to strengthen regional ocean governance for the conservation and sustainable use of marine biodiversity in ABNJ in view of the BBNJ negotiations. The objective of this report is to highlight the relevance of regional approaches in ocean governance for the implementation of the 2030 Agenda. The PROG Marine Regions Forum presents a new format for solution-oriented learning and exchange across different sectors and marine regions. 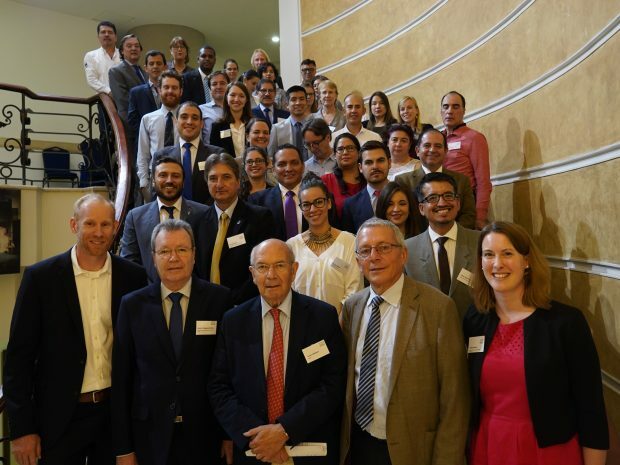 The first PROG Marine Regions Forum will be held as an international conference from 30 September to 2 October 2019 in Berlin, Germany. 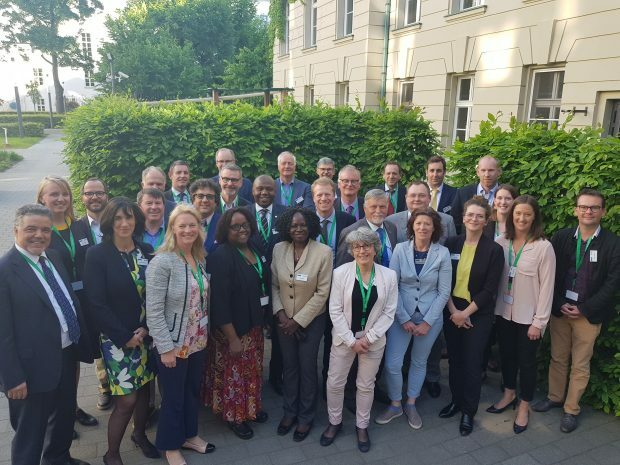 The fourth meeting of the Collective Arrangement between competent international organisations on cooperation and coordination regarding selected areas in areas beyond national jurisdiction in the North-East Atlantic was held from 7-8 May in Berlin. 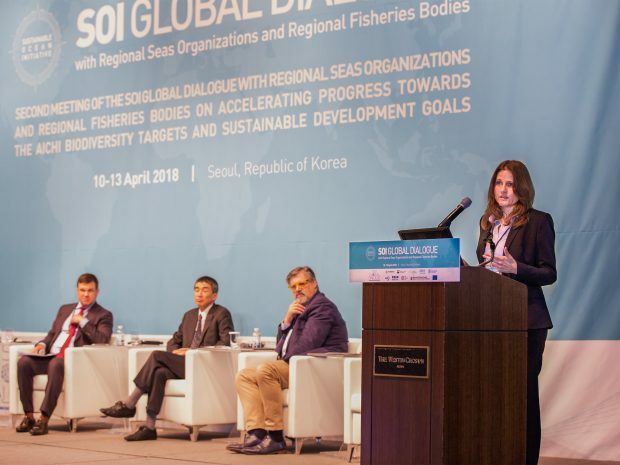 PROG activities and the Marine Regions Forum were presented by Barbara Neumann (IASS) and Glen Wright (IDDRI) at the 2nd SOI Global Dialogue in Seoul, Republic of Korea. 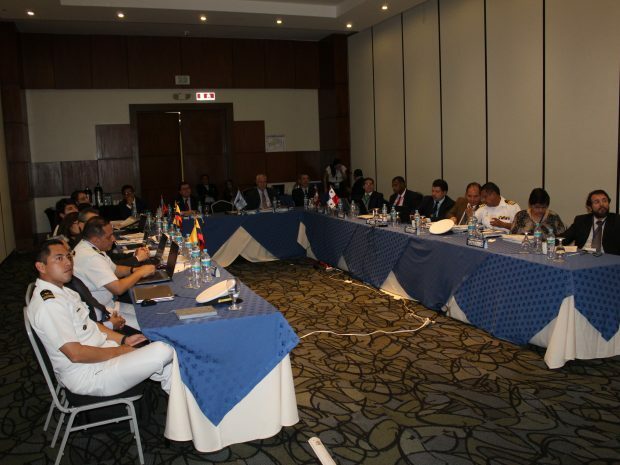 Project partner Luis Alonso Zapata Padilla of WWF Colombia presented the STRONG High Seas project at the annual General Assembly of the Comisión Permanente del Pacífico Sur (CPPS; Permanent Commission for the South Pacific) in Guayaquil, Ecuador, on 23-26 January 2018.